What Facebook Pages Triggers and Actions are Supported? New Post to Your Timeline - Triggers when anyone (including you) posts to your Page's Timeline. New Post by You - Triggers when you post to your Page's Timeline. New Recommendation - Triggers when your Facebook Page receives a new recommendation. Change Page Profile Photo - Changes the profile picture of a Facebook Page. Create Page Photo - Uploads a photo to your Facebook Page and posts it to the stream. Create Page Video - Uploads a video to your Facebook Page and posts it to the stream. Create Page Post - Create a new page "stream" post on a page. 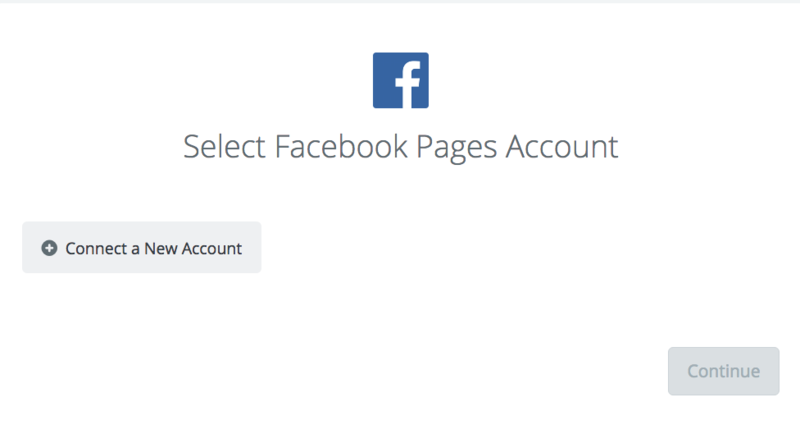 To get started with Facebook Pages on Zapier, first you will need to click to connect your Facebook Pages account to use with your Zap. 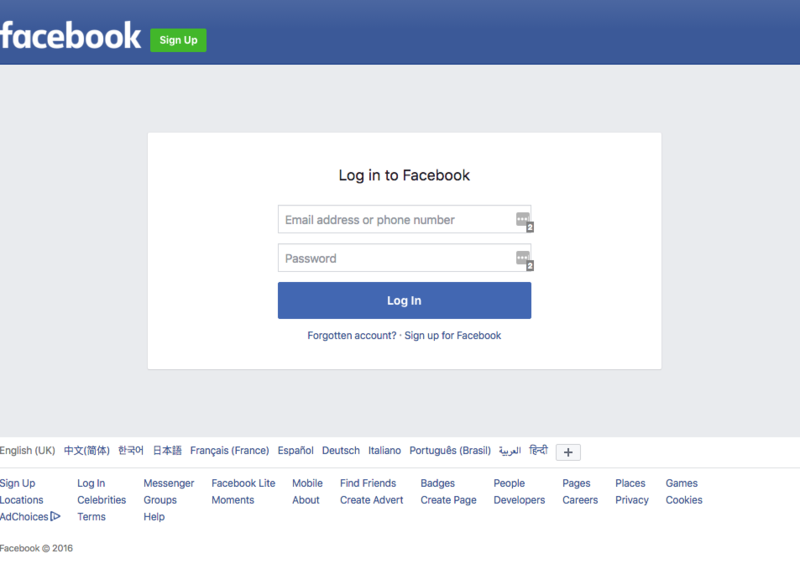 If your login details were entered correctly, your Facebook Pages account will now be successfully connected. 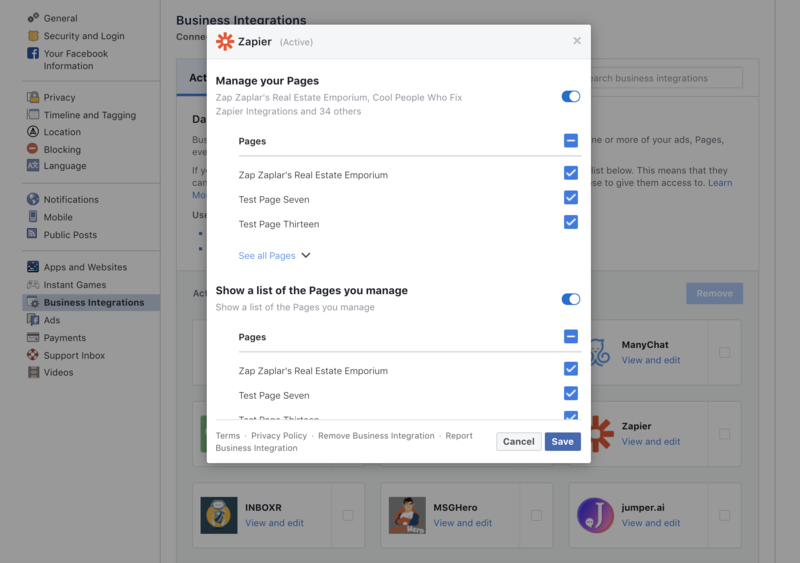 Lastly, jump into Facebook Pages here on the Business Settings and from there grant Zapier explicit access to the Pages you wish for us to use in Zap. To do this, follow these steps. Click "View and Edit"
Then scroll to Manage Pages and select the Facebook Pages that you wish to use in Zapier followed by the "Save" button. 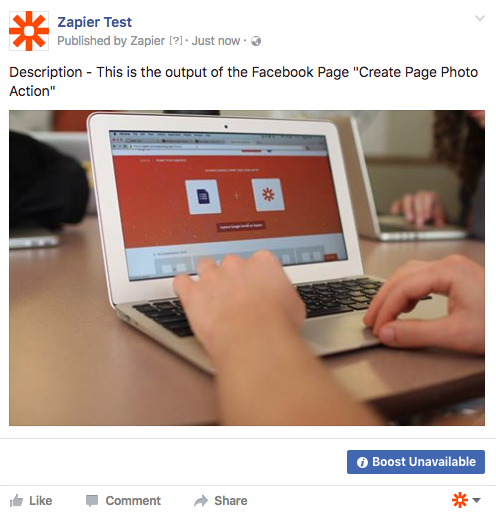 Once you've done that, you will then be able to view all the Facebook Pages in your Zap Editor. 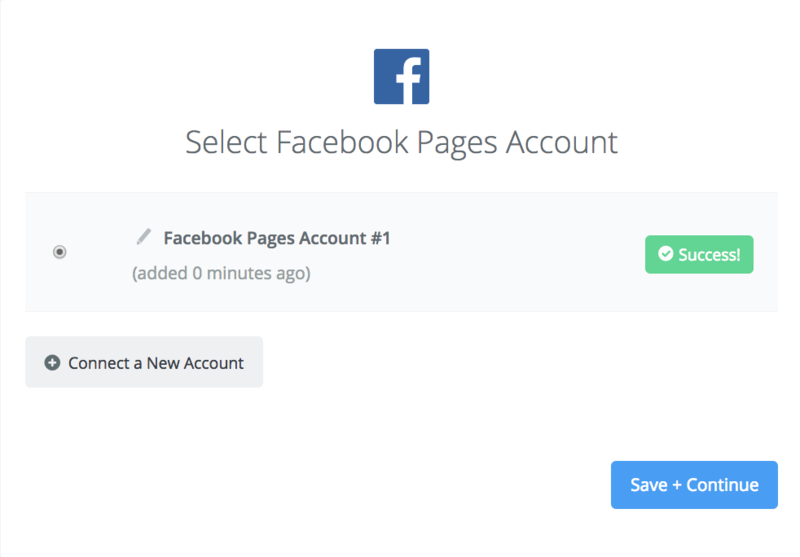 Go to https://www.facebook.com/settings?tab=applications and search for or scroll down to Zapier. Go to https://zapier.com/app/settings/authorizations and add/reconnect Facebook Pages again and click allow/yes for all permission screens. Start using your new connection with all the pages included! Yes, we have a separate app for Facebook Groups at https://zapier.com/apps/facebook-groups/integrations. 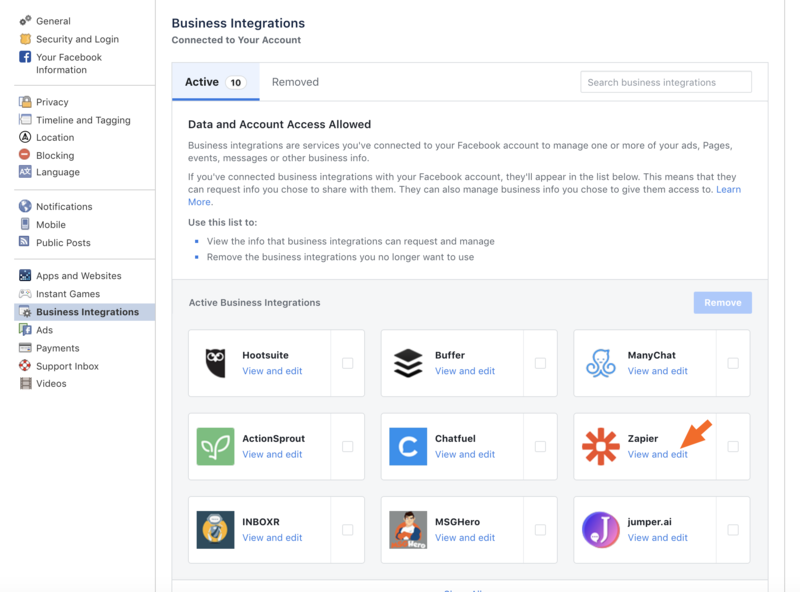 Since August 2018, it is not possible for apps like Zapier to create posts on Facebook personal timelines. While a rather technical and jargon-filled message, usually all this means is that a page wasn't selected from the field dropdown. Skim back over your form to be sure you have selected a page. 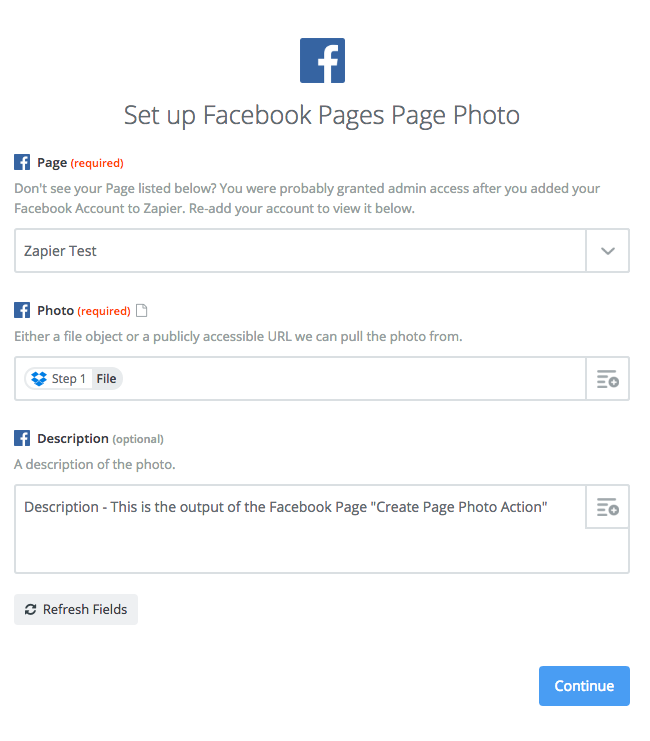 When you use the Facebook Page "Create Page Photo" Action, the resulting post will include a photo and a description of your choice. 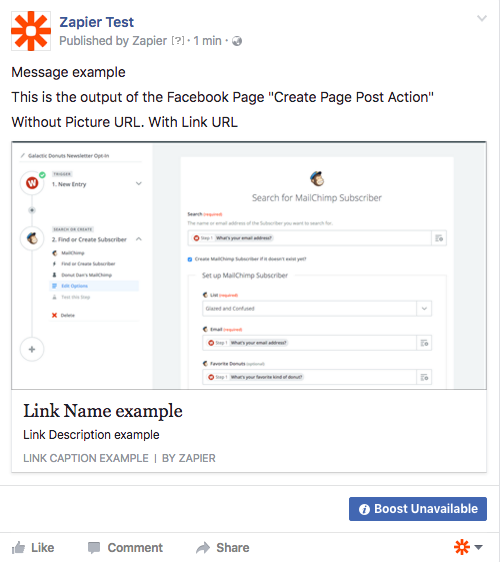 When you use the Facebook Page "Create Page Post" Action and include a link url, the resulting post will include a message of your choice. The photo will automatically be pulled by Facebook. The photo will be a clickable link that you've set in the Link URL. If #1 fails, it will scrape the page for another better link. Facebook will favor bigger images with a rectangle ratio. Images under 200 x 200 will not be displayed and are logged as errors in the debugger.